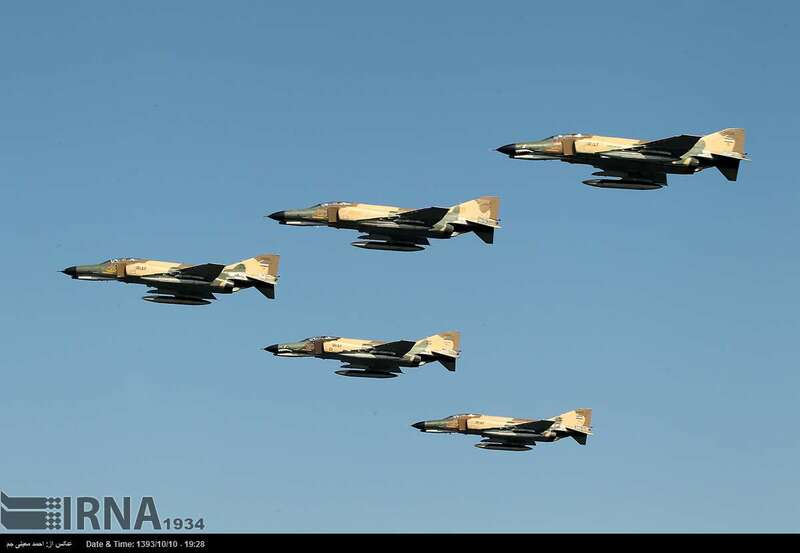 Tasnim – The fighter jets of the Iranian Army and the Islamic Revolution Guards Corps (IRGC) held a joint military exercise in the southern port city of Bandar Abbas. The final stage of the joint aerial parade of the IRGC Aerospace Force and the Islamic Republic of Iran Air Force (IRIAF) was held on Wednesday in Bandar Abbas as part of preparations for nationwide parades to mark the Sacred Defense week, due to be held this Friday. The military drills were staged with a number of senior IRGC and Army officials, including Lieutenant Commander of the IRIAF Brigadier General Aziz Nasirzadeh, in attendance. During the Sacred Defense Week, different units representing the Army, the IRGC, the Law Enforcement (police), and the Defense Ministry take part in the parades in Tehran and other provincial capitals.